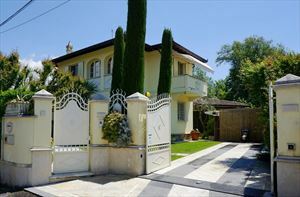 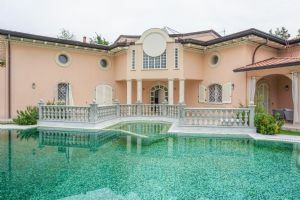 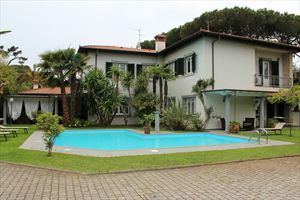 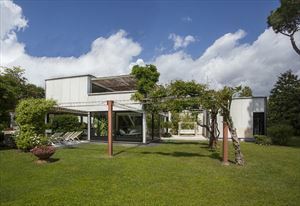 Wonderful Detached Villa with swimming pool located in a quiet area in the center of Forte dei Marmi, about 850 meters from the sea. 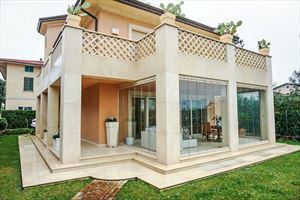 Outside there is a large veranda with living room and dining room, while the ground floor includes a kitchen with double access, also outside, living room with lounge and dining room, bathroom and a double bedroom with exclusive service with shower. 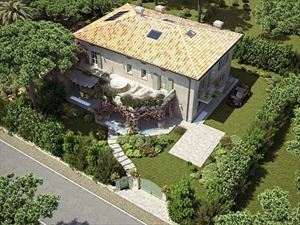 The first floor includes three double bedrooms with in-suite bathrooms and a large terrace. 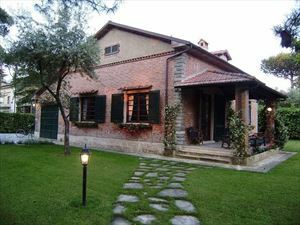 The basement includes the relaxation area, the laundry area, a technical room and three double rooms with private bathroom. 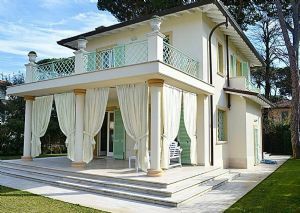 The Villa is also equipped with drain channel, air conditioning, Wi-Fi, alarm system, parking and automatic gate.